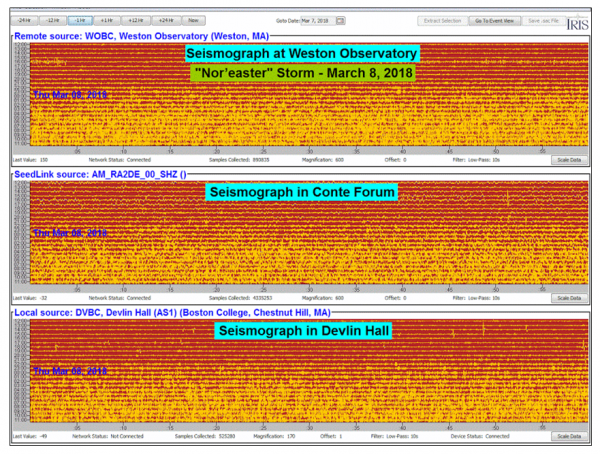 WESTON OBSERVATORY IN MASSACHUSETTS GETS “SHAKING” ! 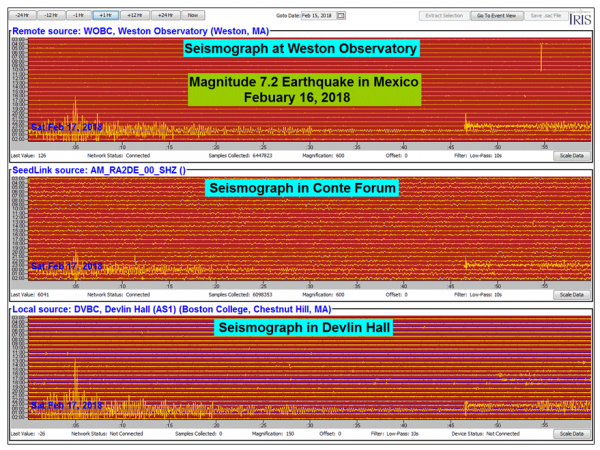 Weston Observatory, located just outside of Boston, in Weston, Massachusetts, lives and breathes all aspects of seismology having been involved in recording earthquakes since the 1930s. It is part of a worldwide distributed network for earthquake monitoring and research and provides educational and public outreach resources on all aspects of the science of seismology, earthquake hazards, and related geoscience. 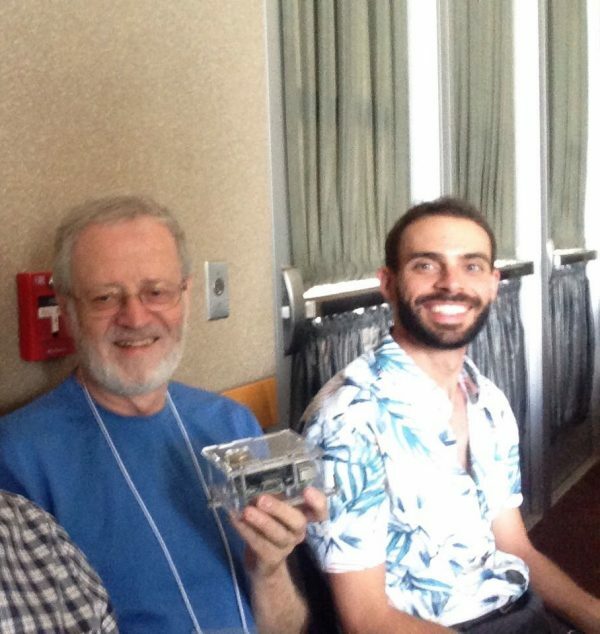 Alan Kafka, Branden Christensen and a Raspberry Shake at the 2017 “Earth Educators Rendezvous”, held at the University of New Mexico. 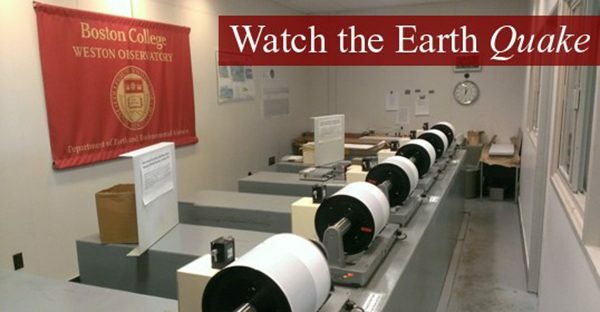 The Boston College Educational Seismology Project (BC-ESP) is the education and public outreach component of the Observatory. The BC-ESP operates seismographs in K-12 schools, and based on those classroom seismographs provides educational enrichment for students of all ages. They also operate seismographs in public libraries where they have become a focus for various education and outreach events. 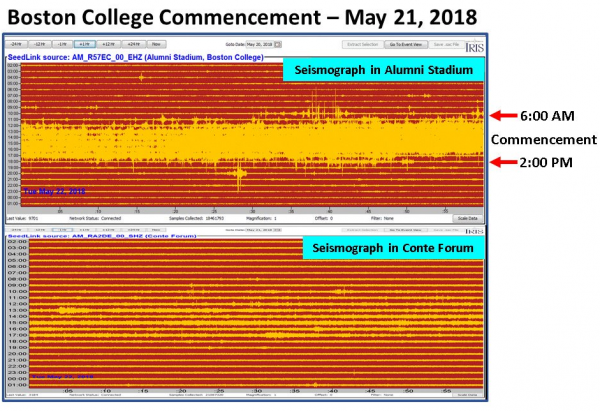 Seismic movement in some shape or form is always occurring and with Boston College being a hot spot for all sorts of activity it’s not surprising that the Weston Observatory’s new Raspberry Shakes have already caught some interesting events. Working with his colleagues at BC, Shannon Graham (Visiting Assistant Professor) and Hannah Chambless (Graduate Student), they have been setting up their Raspberry Shakes at strategic locations on campus to record what’s going on around BC. Weston Observatory’s Raspberry Shake’s have been busy! 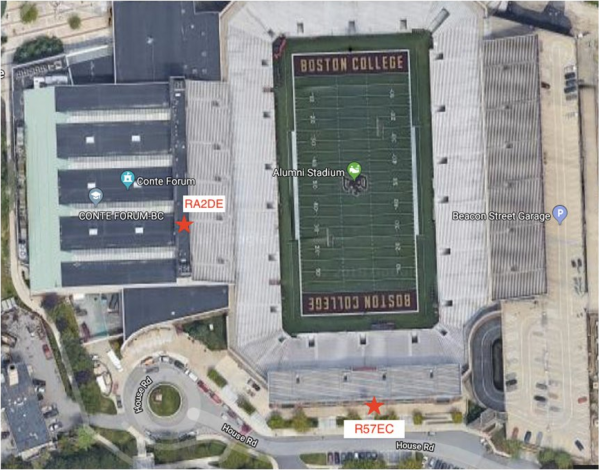 For the Boston College Commencement 2018, the Observatory’s two Raspberry Shakes were in prime position to capture the activity: R57EC at Alumni Stadium, and RA2DE at Conte Forum. A very active seismogram from the Student-Athletes dance. A nor’easter storm (extratropical cyclone) shaking things up in the area! 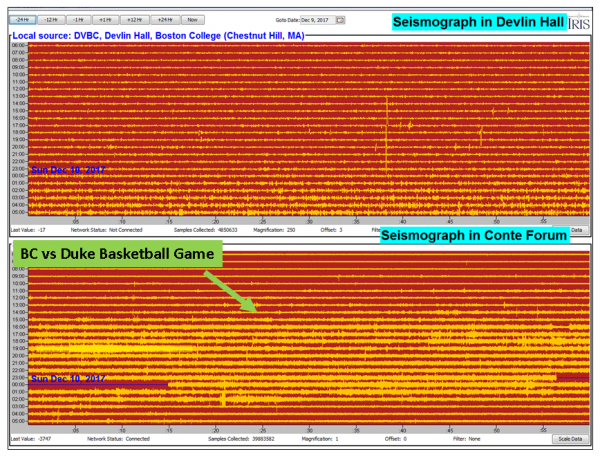 And here you can see the BC and Duke Basketball teams and fans making their own “earthquakes”! At Raspberry Shake we love to see fellow Shakers like Alan Kafka and the Weston Observatory so passionate about the rocks and rolls of our planet. – Keep up the great work! You can see the real time activity of Alan’s Raspberry Shakes R57EC and RA2DE on the station view map. To stay up to date with activity from the Weston Observatory checkout their website and Alan’s page here, and also their Facebook and Twitter feeds. A special thanks to the Director of Weston Observatory, Alan Kafka, in the Department of Earth and Environmental Sciences at Boston College, for his contribution to this article including, links, photos and content.